Thanks to our generous sponsors and supporters, we have put together our 1st ever silent auction ending at 8:30pm on Dec. 1st! 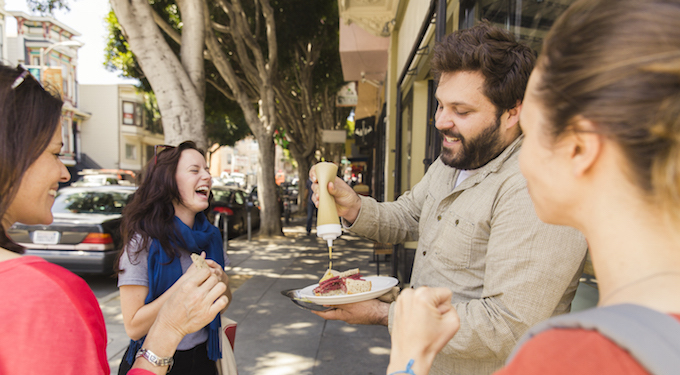 San Francisco’s Mission District is where the traditional and often lusty Latino and South American flavors are a part of a changing community of various background and cultures. This Edible Excursions tour includes a mouth-watering assortment of tastings and samples both savory and sweet. It’s a world of tacos and mini cupcakes; salsa (the sauce, not the dance), freshly-made ice cream and savory pies. Guests will enjoy learning in person the stories of Mission culinary artists and shopkeepers, with insights into the area’s history and beautiful, world famous murals. Autographed Mission Chinese Food Cookbook + $50 gift certificate to The Perennial, voted one of the 2016 Best New Restaurants by Bon Appetit magazine. 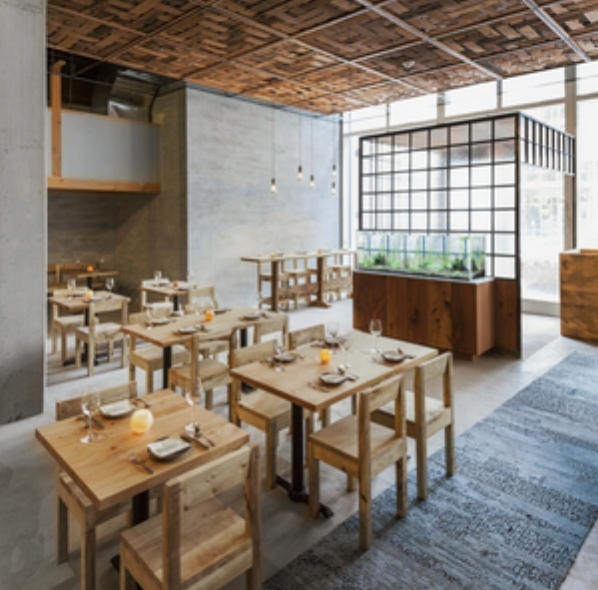 The Perennial is a restaurant and bar that champions progressive farming. They support farmers and ranchers who employ regenerative practices including serving bread made with perennial grains, butchering carbon ranched meat and operating an aquaponic greenhouse. Pioneer in earth-friendly wine long before it was a buzzword, Fetzer’s Cabernet Sauvignon appreciates the warmer vineyards of California’s lower foothills, bringing out robust flavors of black cherry and chocolate. A hearty companion to steak, chips, and ribs. Plucked from organic trees in the Peruvian Amazon and Ecuadorian Coast, the cacao beans are transformed in Switzerland with pure organic coconut oil and wrapped mindfully with completely compostable wrapper. With a mission to nourish foodie, farmer and field through sustainable food around the world, Alter Eco brings you 60 delicious pieces of chocolate truffle in sea salt, salted caramel, black & velvet. This all-in-one set provides the finest 5 Flowering Teas™– handsewn tea leaves and flowers that blossom when steeped. It also includes a 16 oz. glass teapot for a unique and affordable gift. Contains: Starlight Rose, Dragon Lily, Lavender Dream, Sunset Oolong and Golden Jasmine. 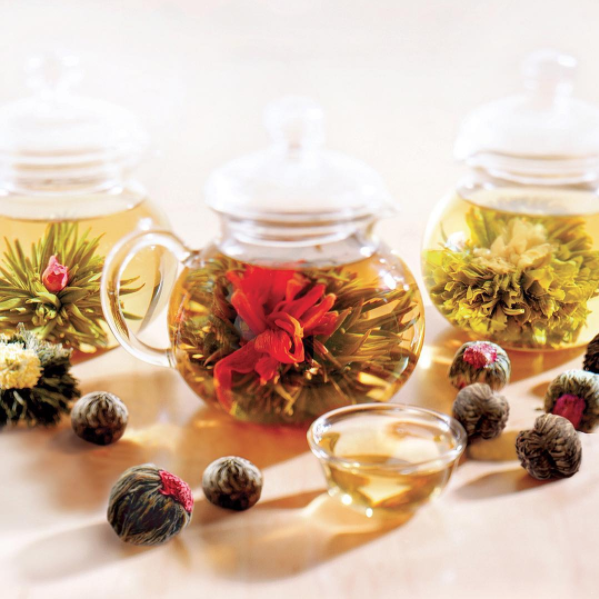 Flowering Teas™ may be steeped up to 3 times for 15 pots of tea. Founded in 1982 as a social enterprise by aeronautical-engineer-turned-Buddhist-monk Bernie Glassman, Greyston Bakery is as committed to providing jobs and job training for individuals who face barriers to employment as it is to crafting award-winning gourmet baked goods. Greyston brownies are baked with only the best, kitchen-friendly ingredients and without any preservatives. They are crafted by an incredible team of bakers, who also make the brownies you find in Ben & Jerry's ice cream! Klean Kanteen is family-owned company on a mission. Certified B Corporation, they create high quality reusable products and work hard to bring benefit to the people and places they touch. Pioneer in earth-friendly wine long before it was a buzzword, Fetzer creates a classic Chardonnay with warm delta days, cool maritime breezes and rich sandy loam soil. Crisp ripe flavors of apple, pear and tropical fruits is perfect complement to fish, chicken and pork. ith a mission to nourish foodie, farmer and field through sustainable food around the world, Alter Eco brings you 60 delicious pieces of chocolate truffle in sea salt, salted caramel, black & velvet. In this poignant collection of essays, Epitaph for a Peach author David Mas Masumoto gets ready to hand his eighty-acre organic farm to his daughter, Nikiko, after four decades of working the land. Mas reflects on topics as far-ranging as the art of pruning, climate change, and the prejudice his family faced during and after World War II. Nikiko's voice is present, too, as she relates the myriad lessons she has learned from her father in preparation for running the farm as a queer mixed-race woman. Changing Season addresses the uncertain future of small-scale agriculture in California.